We had a busy January. We took a trip to Vegas. It was Chicken Legs' Christmas present. February is going to be another busy month. You can follow along with all our travels! 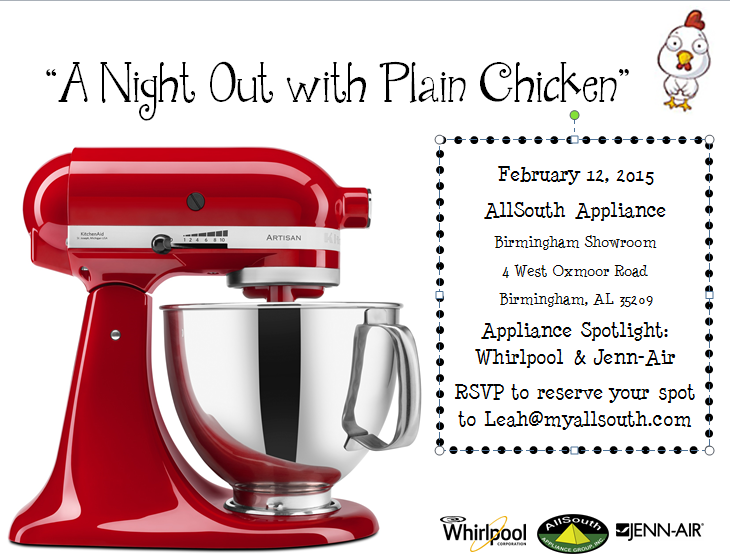 We are doing a cooking demo at AllSouth Appliance's Birmingham Showroom on Thursday, February 12th @ 6:00pm. We will be making an appetizer, entree and dessert for everyone. 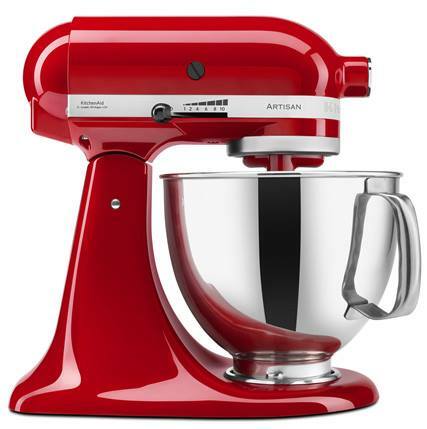 There will even be a giveaway for a shiny red KitchenAid mixer!!! Can't make it to the demo? Don't worry! We are giving you a chance to win a KitchenAid mixer right here on the blog! Use the PromoSimple widget at the end of this post to enter!!! Have you checked out the new Recipe Index? 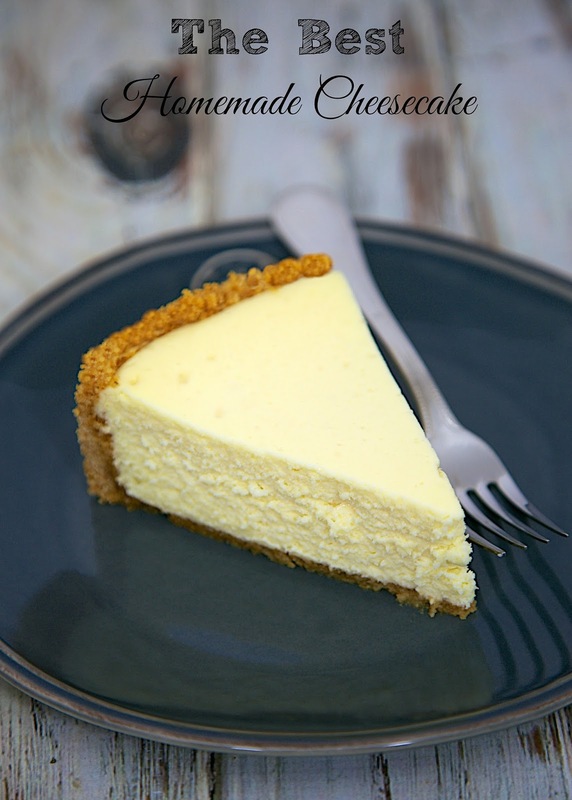 When you click on the different categories it will take you to a page with photos of all those recipes! 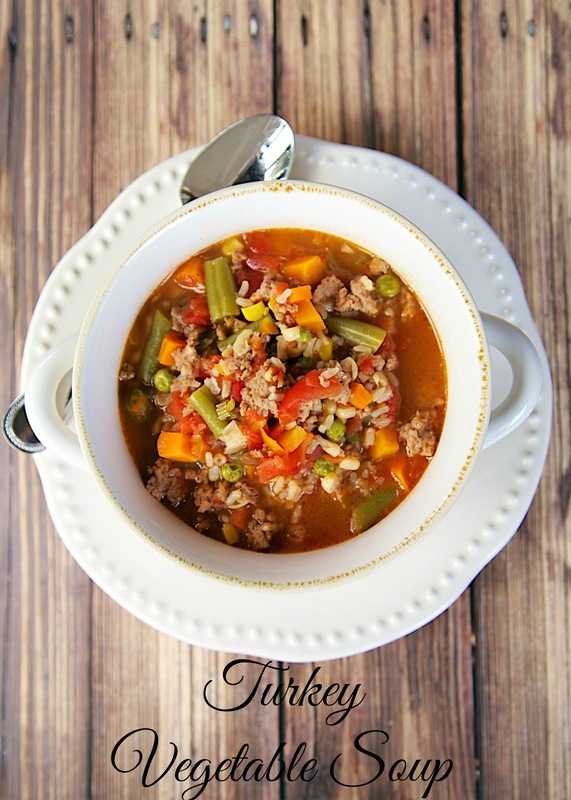 We are completely obsessed with this Turkey Vegetable Soup. We've made it several times. Chicken Legs loves to eat it for lunch. 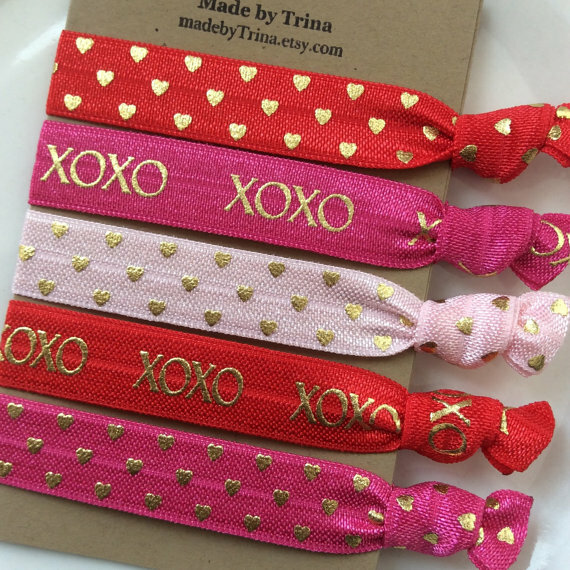 LOVE these Valentine's hair ties from Made by Trina! She has lots of other cute hair ties. I want them all!! You can never go wrong with chocolate for Valentine's Day. This Godiva 29 pc. Valentines Day Keepsake Chocolate Heart is perfect! The heart shaped box is super nice, and what's inside is even nicer! I LOVED the Praline Mousse in Milk Chocolate. Chicken Legs' favorite was the Raspberry Mousse in Dark Chocolate. If I'm telling the truth, we really enjoyed all of them! How could we not? It's Godiva chocolate! Need Valentine's Day food ideas? Check out of Valentine's Day Pinterest Board! Follow Plain Chicken's board Valentine's Day on Pinterest. Are you going to see Fifty Shades of Grey? It comes out next weekend. I read the books. Loved them (I know they aren't very well written, but they are hot). I'm on the fence about seeing the movie. I just don't find Jamie Dornan to be hot - at all. In the books, Christian is hot, super HOT. I'm not sure the movie version of Christian can live up to the book version. I'll probably wait to see what people say about it before I go see it. Our friends at AllSouth Appliance are giving one lucky Plain Chicken reader a beautiful Red KitchenAid Artisan Mixer!! Be sure to come and check out AllSouth at these upcoming home shows! Stacey Little, Southern Bite, will be cooking at this show. Chef Jared Swift from SubZero Wolf will be cooking at this show. I will be cooking on Saturday and Sunday at this show! I will be cooking for everyone at this show! You may enter once a day. The giveaway ends on Friday, February 13, 2015 @ 11:59PM CST. Winning entries will be verified. The winner will be notified via email and has 48 hours to respond. If the winner does not respond within 48 hours, a new winner may be selected. Good Luck! Hey! I agree with your assessment of 50 Shades lead man. I don't think I want to see it because it will ruin my fantasy of what Christian Grey should look like! Not Jamie Dornan, for sure!